Welcome to the most amazing yoga New Year’s experience. Guiding and celebrating with you into the New Year, will be David Sye. David is not only a well known and loved yoga elder, who has studied with many gurus and even met with the Dalai Lama, but he is also one of the most authentic yogis in the world. 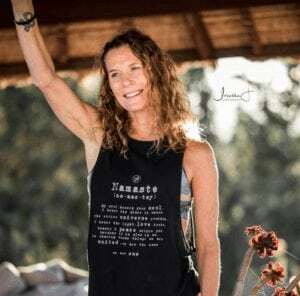 An open, friendly and caring soul who will bring amazing vibrant energy to the mat and inspire the very best from your practice, whatever your level of experience. Known for his life changing yoga sessions where flowing movements meet primal rhythms... A world where breath and meditation join fun, expression and personal growth. You will feel inspired, supported, part of a community and ready to take on the New Year charged and rejuvenated, with an open heart and a strong mind. David's classes are refreshing. Everyone feels liberated and inspired to follow their intuition, regardless of their ability or yoga experience. Sessions with David are both invigorating and uplifting and will encourage you to join together in your practice with other yogis and to open your heart and mind to be part of the yoga community and to see the positive power within you, through yoga. David’s goal for this retreat week is to make it a yoga holiday that will be remembered for your entire life. The week will be a combination of daily yoga sessions, meditations and group discussions where you will have the chance to have fun, meet likeminded souls and together journey deeper into yoga, life. Feel the deeply satisfying change within you as you uncover answers to life’s questions and grow, feeling your life quality upgrade and the amazing effect this change can have on you, your friends and your loved ones. This week will be real yoga, meaningful, yet playful and fun, guided and supported into the New Year, by the UK’s finest and most authentic teacher. Using ancient Tibetan yoga practices David takes you through asana pranayama and meditation practices in a way you will have never experienced before. Allow yourself to let go and ENJOY!! Alongside a daily yoga & meditation program, we will have a menu of delicious healthful meals that will leave you feeling balanced and invigorated, alive and refreshed. Our New Year retreat with David Sye will be held at the stunning Surya Retreat. With a range of options to suit a variety of budgets, let’s ring in the New Year together, with an eclectic blend of healing classes, meaningful conversation and amazing massage and meals. You will enjoy some special meals, including our wonderful New Year's Day meal. This will be traditional with a healthy wellbeing twist and will change the way you look at festive food - delicious doesn't have to mean unhealthy! There is a 150 euro supplement to our normal prices for the special New Year retreat week, for the additional meals and activities. If booking online please email us to manually add the supplement to your booking. I had the most amazing time and am still full of positive energy around my body. Thank you so much. I am going to teach in an hour and dedicating the lesson to you.